Holiday classic, now in 22nd year, opens Dec. 14 at Lakewood Theatre Company. Get tickets now! 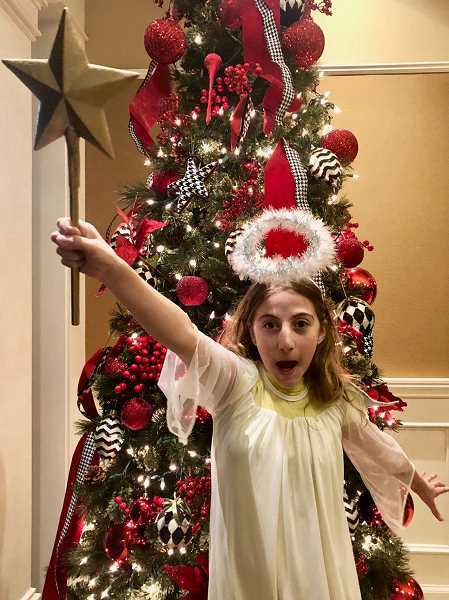 "The Best Christmas Pageant Ever," a delightful family story about the true meaning of Christmas, will open at Lakewood Theatre Company Dec. 14 at 7:30 p.m. Performances continue Dec. 15, 16, 18, 19, 20, 21, 22 and 23 at 7:30 p.m. There are matinee performances at 2 p.m. Dec. 15, 16, 22 and 23. After the opening night performance there is a hot cocoa and cookie reception. This year marks the 22nd time this holiday production has been staged by LTC. The show, directed by Michael DeMaio, is an adaptation of the popular short story written by Barbara Robinson and originally published by McCall's Magazine. Tickets are $15 for adults and $12 for students. Reserve seats by calling the box office at 503-635-3901 or go online to lakewood-center.org. About the play: The Herdmans were absolutely the worst kids in the history of the world. They lied and stole and smoke cigars (even the girls) and talked roughed and hit little kids and talked back to their teachers. So it surprised just about everyone when they decided to take part in the town's Christmas pageant. The Herdsman kids had never heard of the Christmas story, but the way they interpreted it you'd think the story of Jesus came right out of the F.B.I. files. (They called the Wise Men a bunch of dirty spies.) It was a Christmas pageant to remember. An American classic ... one of the best Christmas stories ever told. Featured performers include Michael Teufel as Bob Bradley, Ava Anderson as Grace Bradley, Natalie Caddell as Beth Bradley and Ty Schultz-Reynolds as Charlie Bradley. The Herdman children are played by Ryan Johnson, Kalia Rechenberg, Micah Oesterreich-Finke, Paige Huth, Elijah Castillo and Gabriella Laird. Others in the cast include Reeghan Hansen as Alice, Annalise Huntington as Maxine, Ogaenia Calkins as Mrs. McCarthy, Sharon Deegan as Mrs. Clausing, Karlyn Love as Mrs. Slocum, Susan Triplett as Mrs. Clark and the Piano Lady, Michael Teufel as Mr. Armstrong and Rev. Hopkins and Dylan Levrets as the Fireman. The ensemble includes Kendall LeBlanc as Elmer, Dayva Cockrell as Dayva and Beth Bradley understudy, Kate Eames as Beverly, Tori Chisholm as Shirley, Glory Castillo as Juanita and Maggie Morrissey as Doris. The Angel Choir is composed of Hazel Bateman, Coco Eames, Pachi Morley, Clara Schultz-Reynolds and Aubrielle Todd. Performances take place on the Main Stage at Lakewood Center for the Arts, 368 S. State St., Lake Oswego.